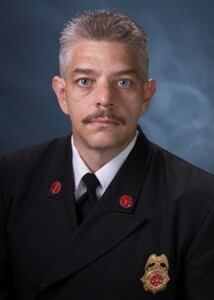 Donnie R. Hall joined New Hanover County Fire Rescue as Operations Director in May 1997. He was promoted to Chief in 2000. His professional career spans nearly 30 years in emergency services. Chief Hall directs department functions including preparedness and response to emergency incidents and focuses on community risk reduction through fire prevention, public education, fire code enforcement and incident investigations. He has served as a community volunteer fire fighter, rescue worker and code enforcement officer before moving to New Hanover County. 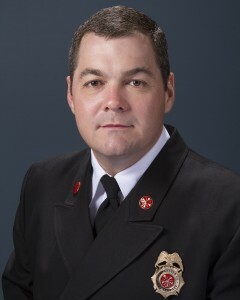 He has served as an emergency services consultant, advisory board member for Cape Fear Community College, president of the Eastern Carolina Fire Association and a member of the board of directors for the North Carolina Association of Fire Chiefs. 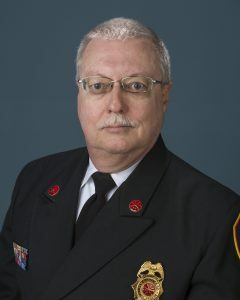 During 2009-2010, Chief Hall led the consolidation of the county’s fire protection system, merging five volunteer fire departments into the New Hanover County fire rescue service model. The consolidation resulted in a consistent, cost effective model for our community. Chief Hall received a Bachelor of Arts degree in Political Science from Fayetteville State University in 1993. 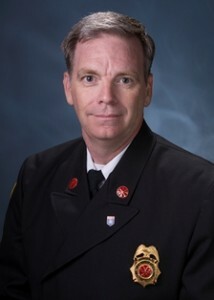 He is also a graduate of the National Fire Academy’s Executive Fire Officer Program and has achieved Chief Fire Officer credentialing from the Center for Public Safety Excellence in Chantilly, Virginia. Donnie is an outdoorsman who spends his free time with his family.